By now, many of you have read about the incident. For many parents, it’s a worst nightmare scenario. 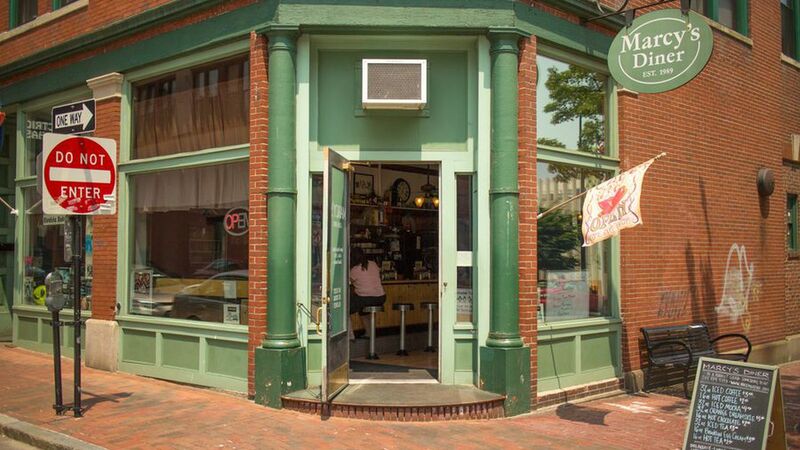 A vacationing couple went out to breakfast at Marcy’s Diner in Portland, Maine, with their 2-year-old daughter. The 2-year-old began to scream, and didn’t stop. Exasperated, and after giving a couple of hints, the owner—Darla Neugebauer—finally slammed her hands down on the counter and screamed at the child. Predictably, the incident has been used as a catalyst for debates about the propriety of bringing small children to restaurants and permissive parenting, and people have aligned themselves with either Team Mommy or Team Diner Owner. But as with most hubbubs of human life, in this case, both parties probably share some blame. As a father, I sympathize with the parents. I’m someone who hates, hates to inconvenience people, and there are few things that stress me out more than my child making too much noise and disturbing others. Fortunately (or unfortunately, depending on how you look at it), some of that stress has probably rubbed off on my kids, and they frequently get compliments from strangers on how well behaved they are in restaurants. But I don’t judge parents who happen to be having a difficult time with an unruly child. Usually I think: “This time, by the grace of God go I,” and offer an understanding smile. And most other people I encounter, with or without kids, do the same. That said, if your kid is screaming, and you can’t get her to stop, the polite thing is to take her out or make some serious, visible efforts to expedite the process of getting the check. It sounds like the parents in question didn’t do this. I know that there are plenty of kid-haters out there who are too quick on the trigger to give you a dirty look, and it can be annoying, sometimes infuriating. But a restaurant where your kid is losing it isn’t the best place to put your flag in the sand. And, also as a father, I sympathize with the owner. Small children are unpredictable and not easily contained. In times past, having small children fill up the chairs of restaurants was probably more of a rarity. By packing everyone into cities and suburbs, and increasing disposable income, eating out has become a regular, expected, and convenient activity for many people. That said, this particular owner clearly lost her cool. Her anger was understandable, but the manifestation of her anger was intemperate. And judging by her social media response and subsequent interviews, I have a hunch that the owner doesn’t really care for small children visiting her diner. It’s worthwhile having a conversation about parenting, behavior in public, and child-appropriate venues. But it’s dangerous to draw generalized conclusions from extreme examples such as those of the parents and the owner involved in this incident. For then, we might be tempted toward extremes in our conclusions.